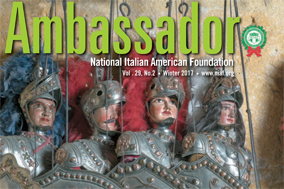 The National Italian American Foundation (NIAF) invites those with a love for Italy and a passion for our heritage to become a part of our growing and vibrant organization. 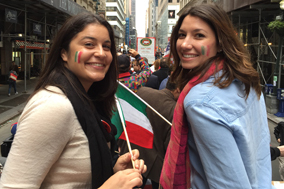 With our mission to preserve and protect the Italian American culture, many NIAF programs reach out to our young leaders of tomorrow through scholarships, mentoring and exchange programs. NIAF also provides an impressive network of our nation’s most prominent Italian Americans in business, entertainment, politics and the professions. 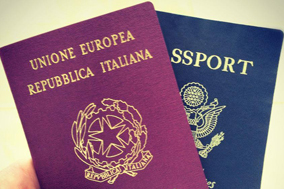 NIAF is the major advocate in the National’s Capital for nearly 25 million Italian Americans, the country’s fifth largest ethnic group. 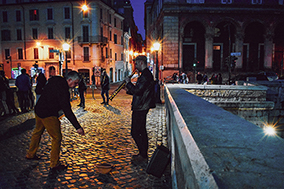 NIAF also works with business and political leaders to strengthen cultural and economic ties between Italy and the United States. NIAF was founded in 1975 as a non-profit organization in Washington, D.C. It is entirely non-partisan. As a membership-based and membership-funded organization, NIAF relies on your involvement to continue to develop programs well into the future. With your support, NIAF will continue to help our young leaders of tomorrow, today! The National Italian American Foundation is a 501(c)(3) nonprofit organization. Your support is tax deductible. Please consult your tax advisor for advice.